BOSTON - A retired US Army colonel was charged in a complaint unsealed on Tuesday for his alleged role in a foreign bribery and money laundering scheme in connection with a planned $84 million port development project in Haiti. Joseph Baptiste, 64, was arrested on Tuesday morning on a criminal complaint filed in the District of Massachusetts. 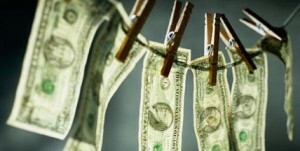 He was charged with one count of conspiracy to violate the Foreign Corrupt Practices Act and to launder money. The complaint alleges that Baptiste solicited bribes from undercover agents in Boston who posed as potential investors in infrastructure projects in Haiti, in connection with a proposed project to develop a port in the Moles Saint Nicolas area of Haiti. According to the complaint, the proposed project was expected to cost approximately $84 million, and was to involve the construction of multiple cement factories, a shipping-vessel recycling station, an international transshipment station with numerous slips for shipping vessels, a power plant, a petroleum depot and tourist facilities. The complaint alleges that Baptiste told the agents, in a recorded meeting at a Boston-area hotel, that he would funnel the payments to Haitian officials through a non-profit entity that he controlled -- which was based in Maryland and purported to help impoverished residents of Haiti -- in order to secure government approval of the project. The complaint further alleges that in telephone calls intercepted by agents pursuant to court authorization, Baptiste discussed bribing an aide to a senior Haitian official by giving him a job on the port development project after he left his position. It further alleges that although Baptiste ultimately used for personal purposes approximately $50,000 that he received from undercover agents for the payment of bribes to Haitian officials -- money that was wired at Baptiste’s direction to a non-profit organization he controls -- he intended to seek additional money from the undercover agents to use for future bribe payments in connection with the port project.